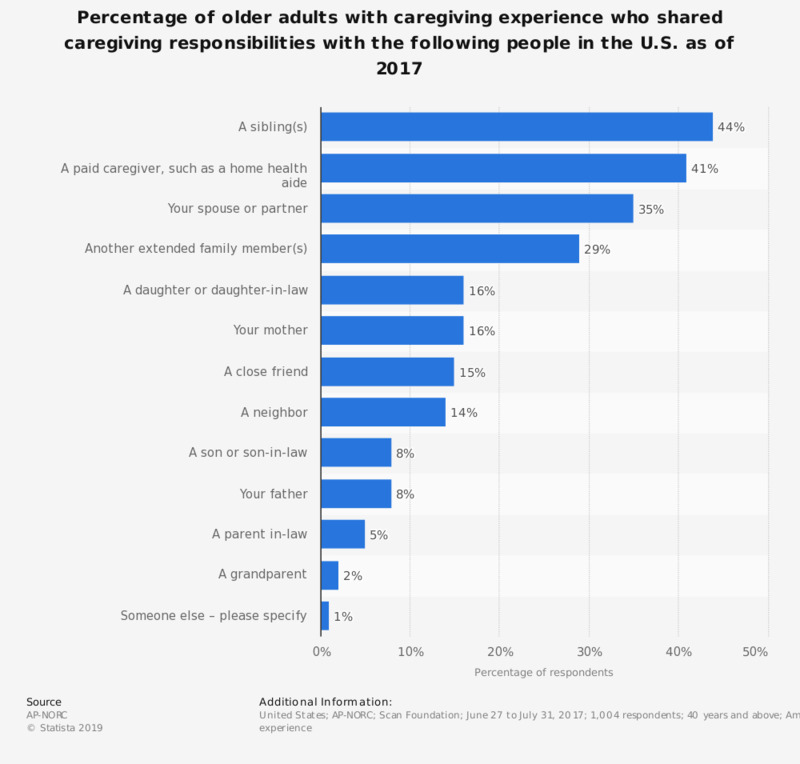 This graph shows the share of adults aged 40 years and older with caregiving experience who shared caregiving responsibilities with the following people in the U.S. as of 2017. As much as 44 percent of the survey respondents stated that they shared their caregiving responsibility with a sibling(s). Original question: [Do you/Did you] share caregiving responsibilities with any of the following people? In the future, would you be willing to give up owning cooking appliances or other kitchen equipment (raclette, plancha ...) in order to share them with other people? Women: Do you seek out content about the ability to share your own opinion/comments on parenting?